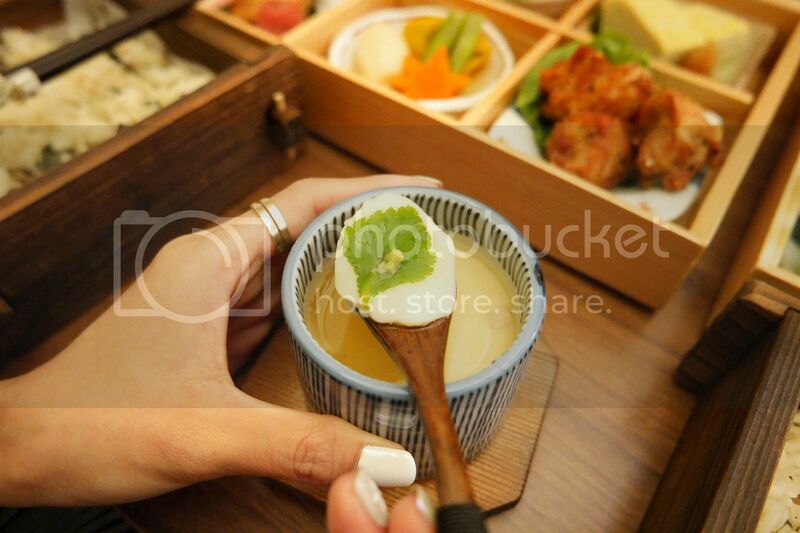 Yokowa is a new Japanese restaurant serving Kaiseki as well as a la carte options! 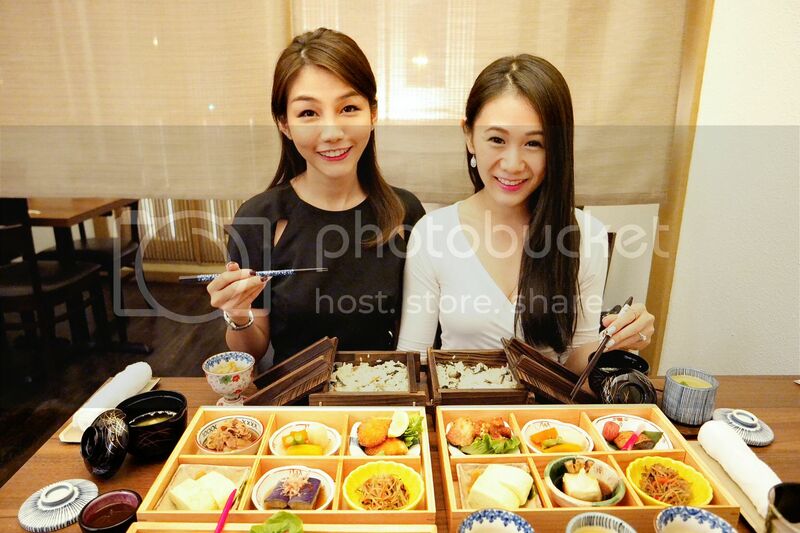 Had the opportunity to visit Yokowa with my date for the night, Sheila, during their soft launch last week! 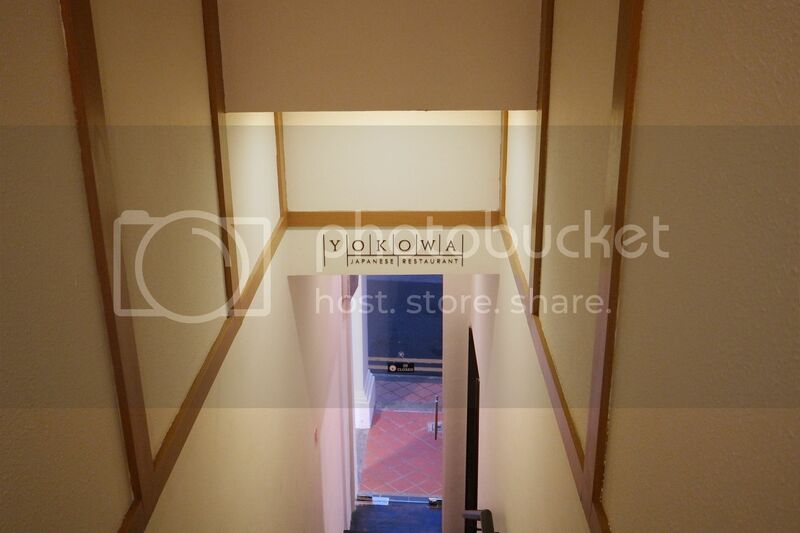 Yokowa has 2 floors, first floor's seating is counter style where you can see the chef in action! While on the second floor, there are table seatings and a private room. We watched on as the chef prepared some sashimi! 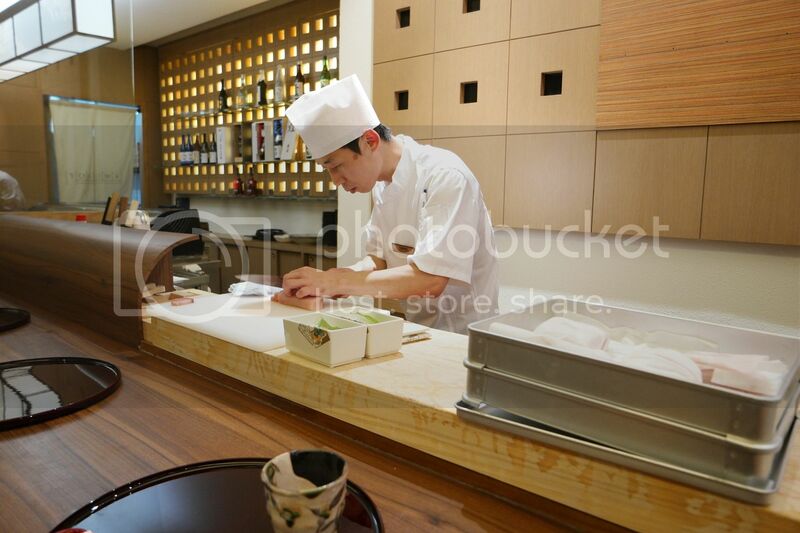 I always enjoy sitting by the counter when I am at Japanese restaurants so I could watch the chefs in action! 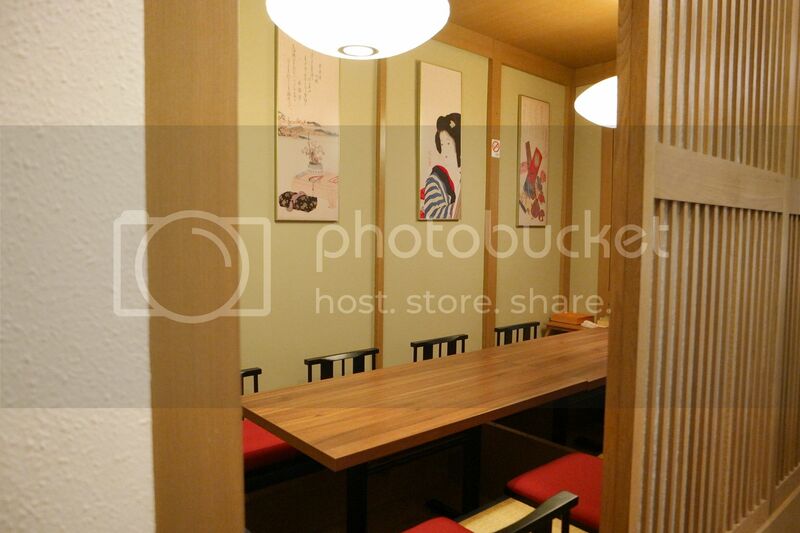 Private room that can take 14 persons! We were walking around the restaurant too much while we waited for our dinner to be ready! 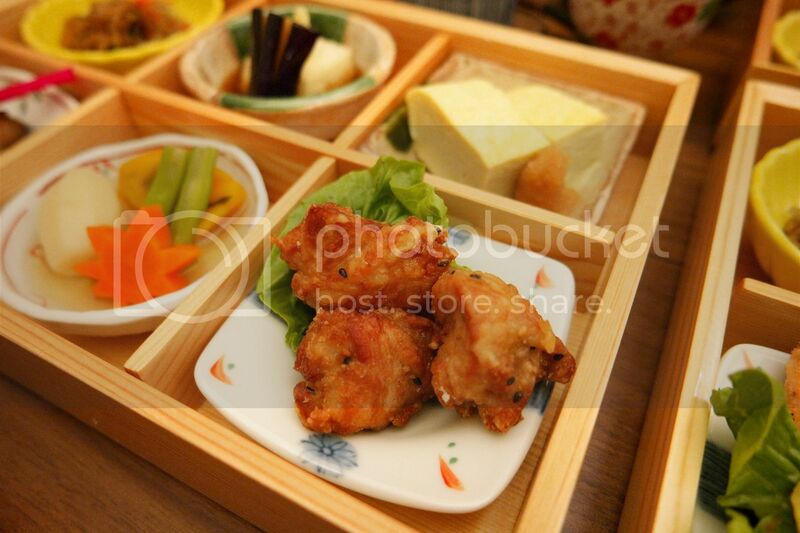 We went back to the table and were greeted with these bento sets that were so pretty!! We spent a lot of time taking so many photos, snapchatting and insta-storied because every dish was so intricately prepared for us! 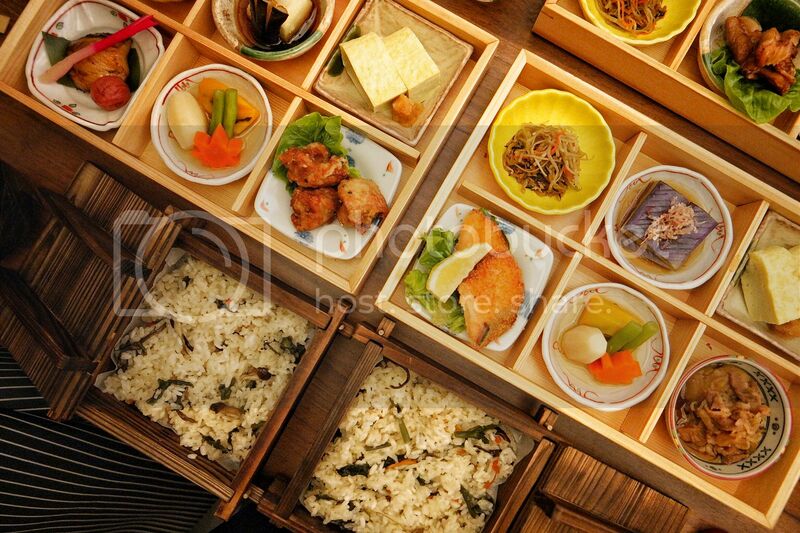 Each bento set comes with 6 different side dishes, daily rice, chawanmushi and miso soup. I had the Matsu set while Sheila had the Take set. They look pretty similar cause of the colors but 3 of the 6 dishes are different! 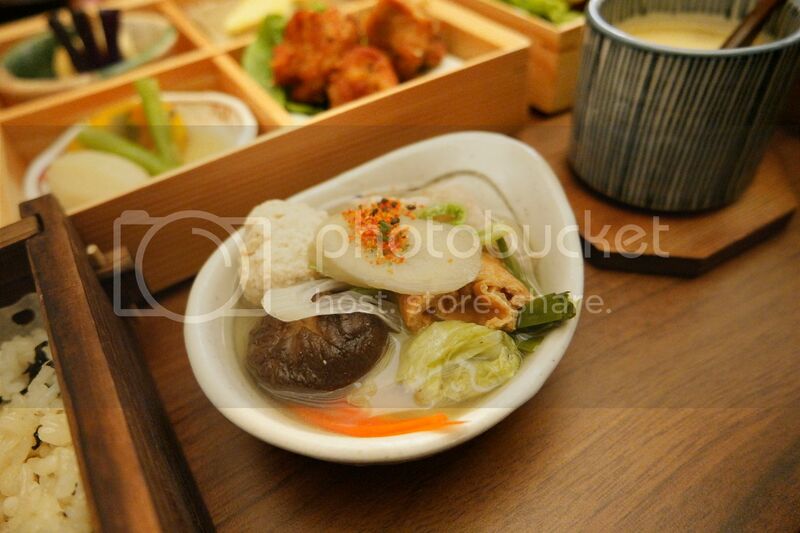 I had codfish, chicken katsu and agedashi tofu while Sheila's were salmon, pork and eggplant. 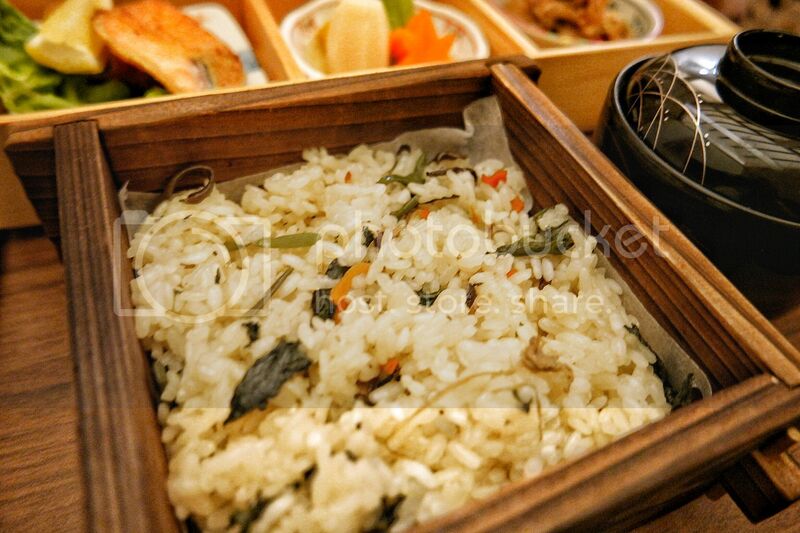 The bento also comes with a daily Okawa, so there's a different Japanese traditional steamed glutinous rice every day! 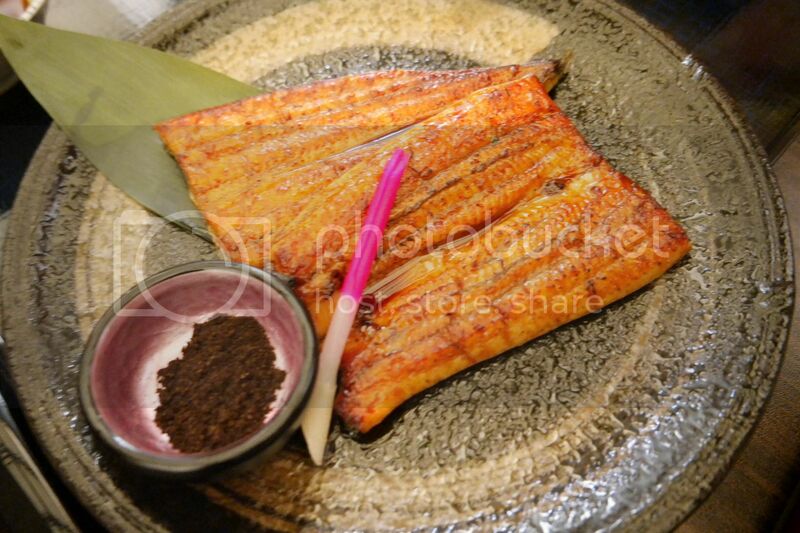 What I like best about this okawa is that it is of various healthy ingredients such as red bean, mixed vegetables, dried anchovies and wild vegetables! 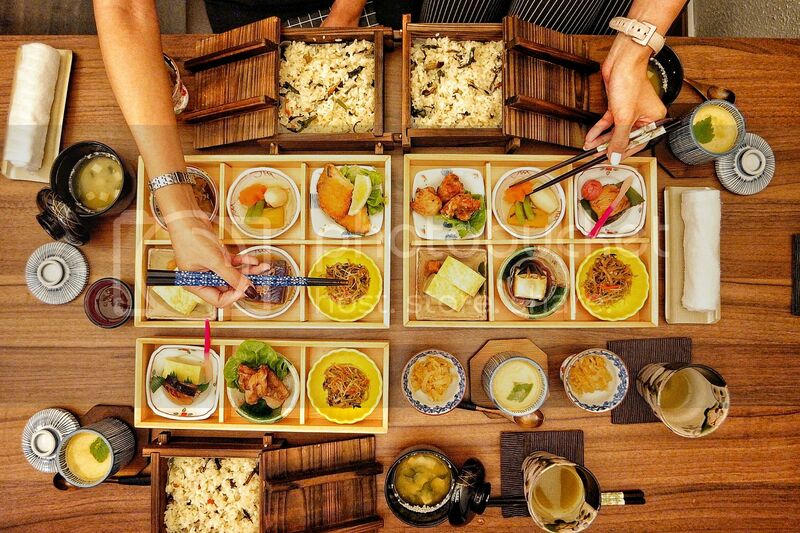 I love rice but try not to take so much carbs, knowing that Yokowa uses healthy ingredients for their rice, it actually encourages me to eat more! We were also in for a treat! 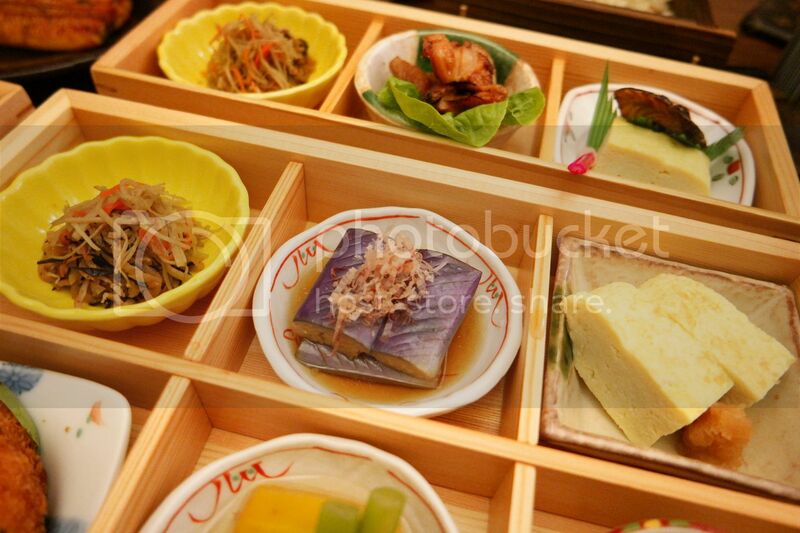 With some soup, unagi, tempura and fresh sashimi served in this box like a present! 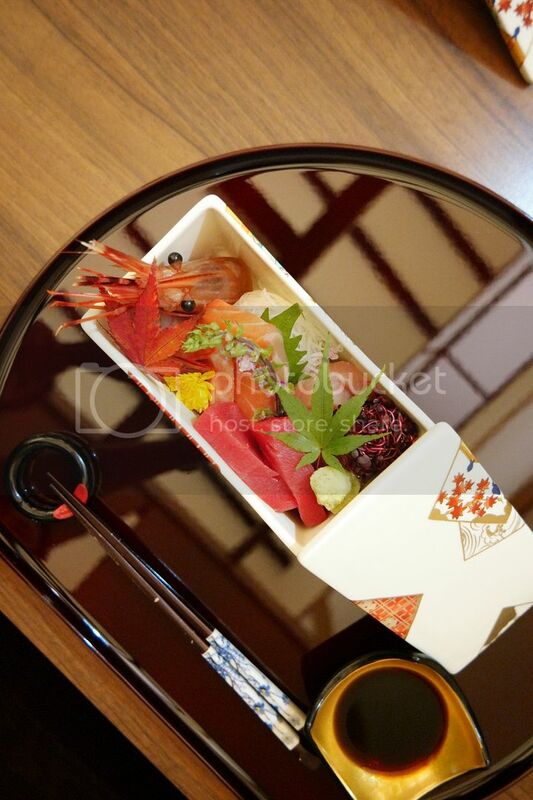 Sashimi Mori was too pretty to be eaten! It even had autumn leaves as deco! I love Autumn leaves a lot so I even brought home the leaf haha! 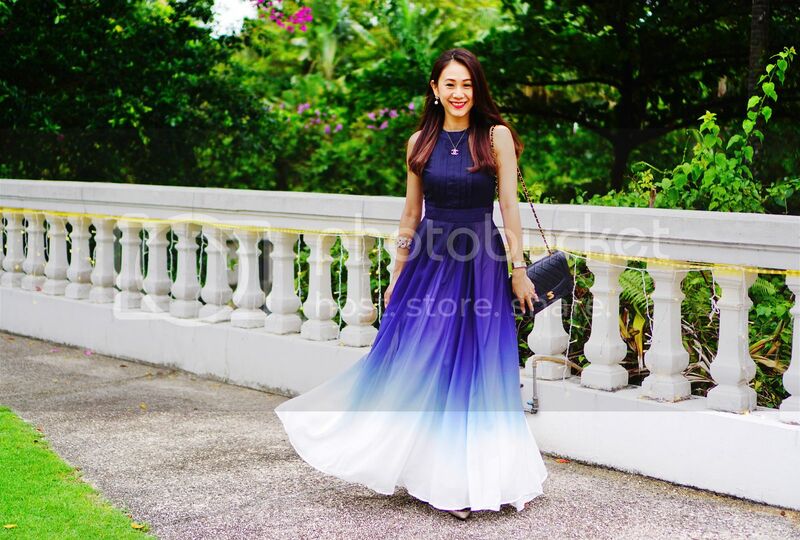 Sashimi Mori is reasonably priced and available in 3 sizes, S$39, S$59 and S$88. There are Salmon belly, swordfish, tuna and prawns. 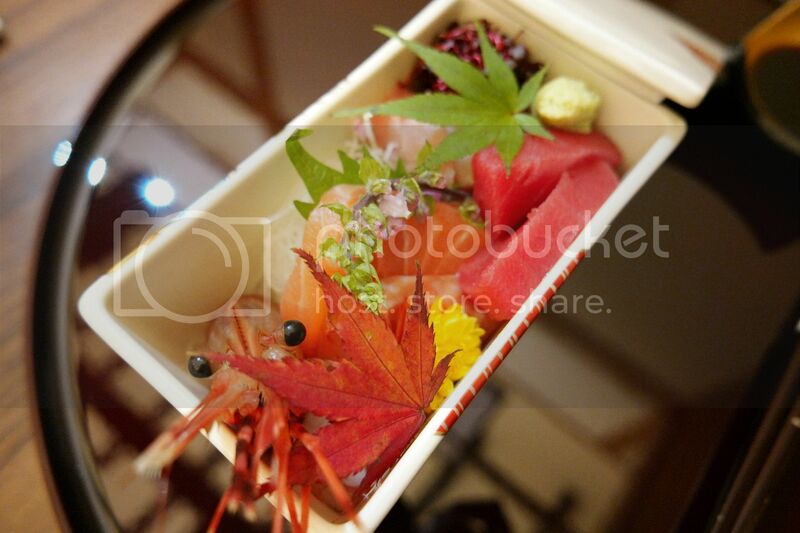 And like the picture shows, each sashimi is chunky! Alvin always complains how much he misses eating sashimi in Japan because his sashimi are always thickly sliced there. 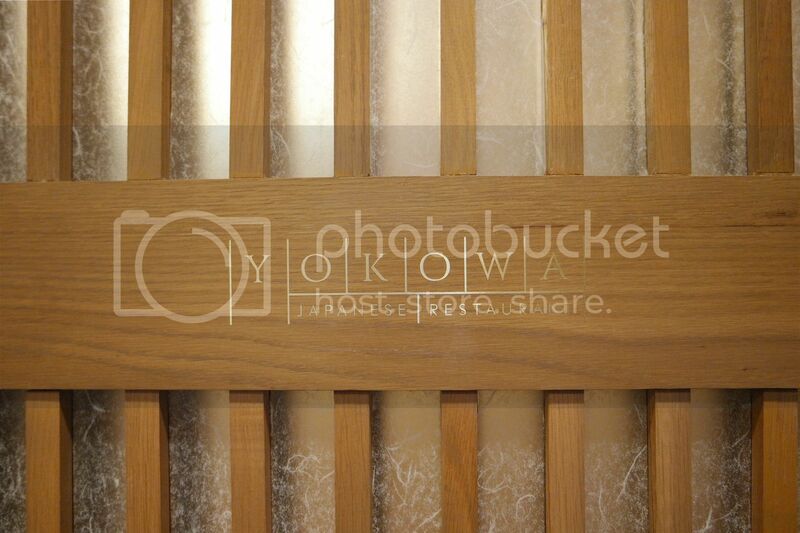 So now, Yokowa is one place to go for these sashimi now! Each serving came with prawns, green peppers, mushroom, sweet potato and pumpkin. 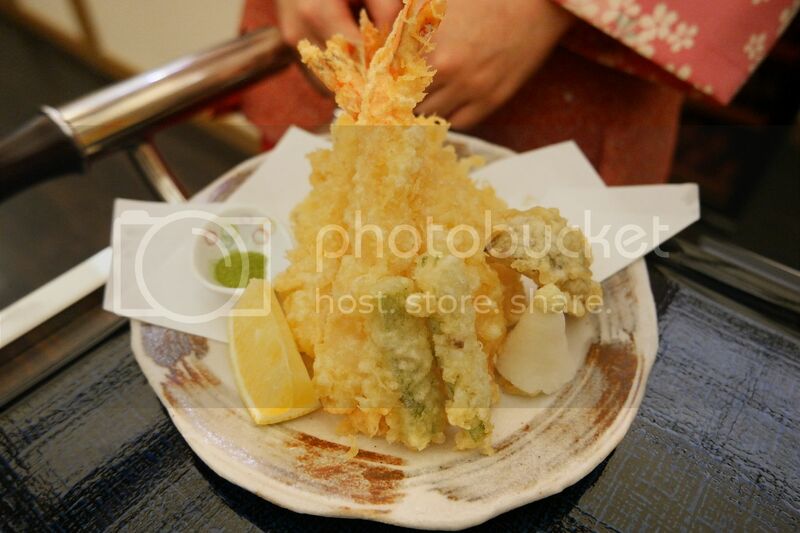 It was a pity that I had a sore throat that evening, I could only take half a prawn tempura. Sheila was gushing away on how good, fresh and how light the batter was! Definitely going back for this when I've recovered! The Unagi Kabayaki serving was HUGE! We couldn't finish it sigh! This soup is so good! Definitely one of the best I have had at Japanese restaurants! 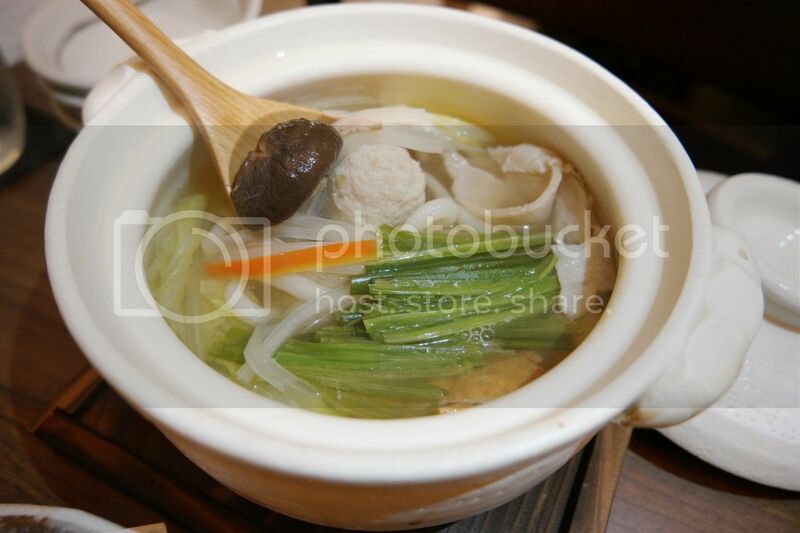 The soup is filled with meat, vegetables and udon. The soup is light yet tasty. So tasty that Sheila took the whole pot in front of her face after she finished her first serving! Ended our dinner with Anninhu Milk Pudding which is almond milk topped with seasonal fruits. Sheila said she didn't have space for desserts so we actually had 1 to share, she finished them all by herself cause it was good! It wasn't too sweet and it was light, the kind of dessert you would want to have to end of a great meal! Thank you Yokowa for having us! We had a belly full meal and can't wait to go back already! 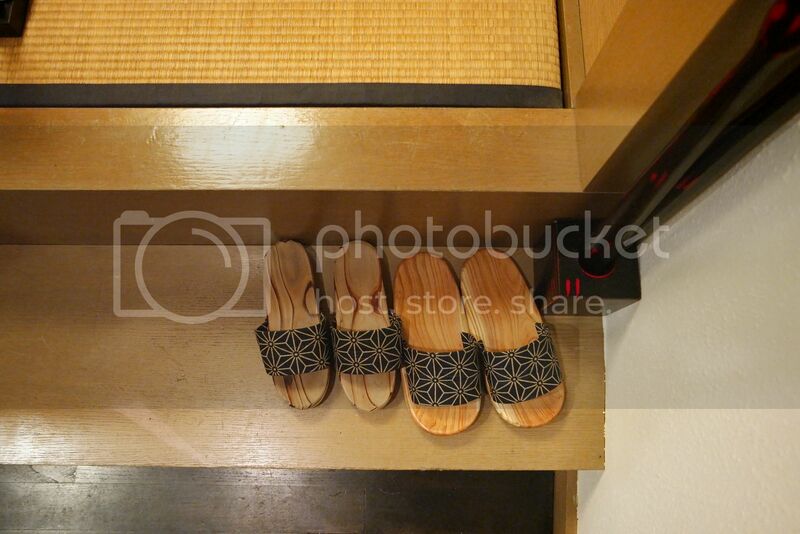 We left Yokowa and started sending pictures to our friends, to plan for our next meal there! Serious! Do make your reservations at least a day before! Definitely a place to consider for your Christmas get togethers!